Communication is a key element to success in the Reach community. The chart below will outlines everyone's role in an application. 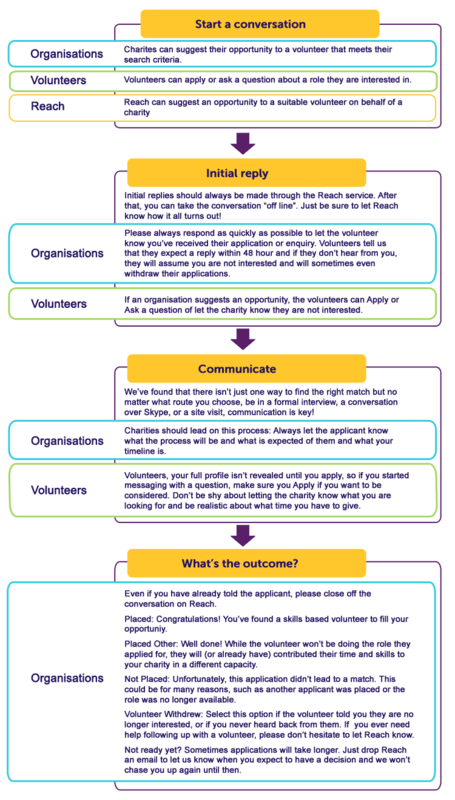 If you need any help though, please don't hesitate to get in touch with Reach. We're here to help!